The façade of the Neo-Manueline styled Palace do Buçaco. Built at the end of the 19th century for Queen Maria Pia,by King Luís I it was completed in 1907, just a couple of years before the monarchy were overthrown and Portugal became a republic. As a consequence the palace was handed over to the state and became a luxury hotel. The styling reflects that of Portugal's golden era of the Discoveries and monuments such as the Tower of Belem and Jeronimos Monastery. 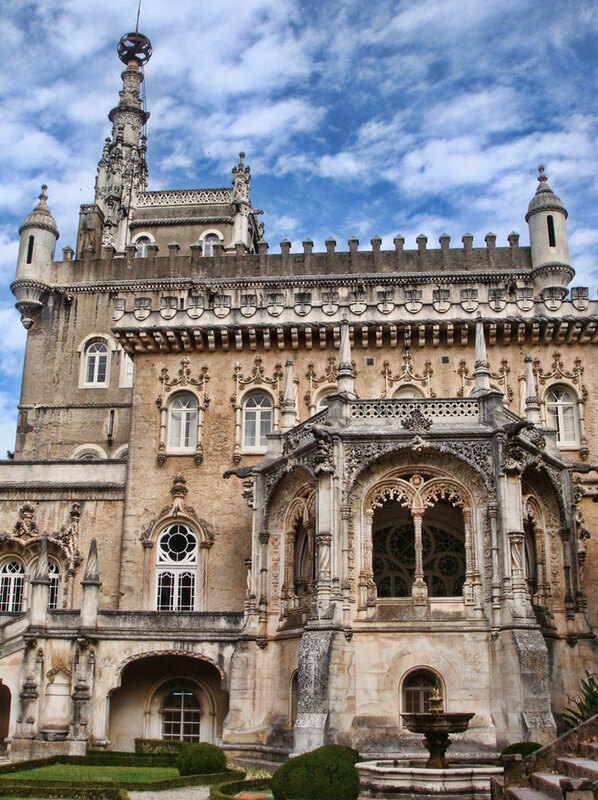 It bears a good deal of resemblance to the Quinta da Regaleira in Sintra which is no coincidence as the architect for both was Italian Luigi Manini.